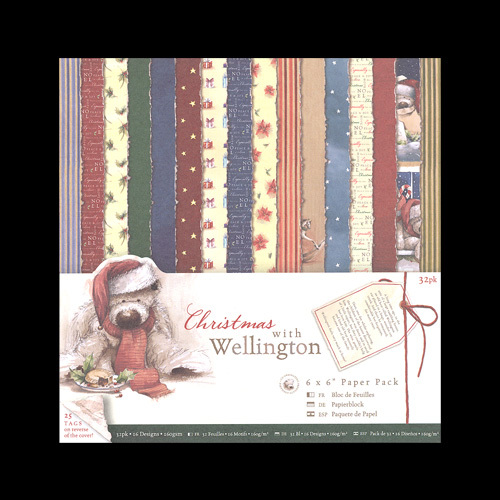 Christmas with Wellington is a wonderful collection of traditional Christmas themes with a modern colour palette. This 6 x 6" Christmas paper pack contains 32 individual printed papers in 16 different designs. Also includes extra free tags inside the front cover! Please note: These are not available as samples.